ADVANCED PROJECT MANAGEMENT has been written for the project sponsor who is responsible for developing and championing a business case (solution), which satisfies the corporate vision requirements - often expressed as, 'what does the company need to do to maintain its competitive advantage'. At the strategic level the project sponsor uses a company-wide methodology to interlink the phases of the project lifecycle so that the theme of the corporate vision and values runs like a common thread to ensure that the problem solving and decision-making processes implement corporate strategy and realize benefits for the company. 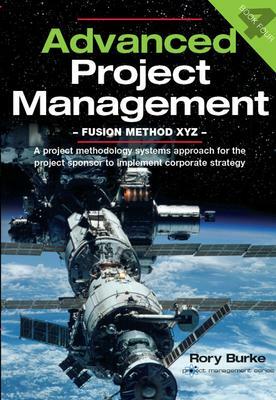 This book provides plenty of case studies to show the link between the corporate strategy, the project and the operation phase. Rory Burke founded Burke Publishing in 1988 when he wrote his first book on Project Management. Rory has an MSc in Project Management (Henley) and degrees in Naval Architecture (Solent University) and Computer Aided Engineering (Coventry). He has worked internationally on capital projects. Rory is an author, consultant and visiting lecturer to universities internationally.